I should have saved the Sheep Dip I reviewed earlier for this post, it being the year of the Sheep/Goat and all but alas, I am not much of a planner. 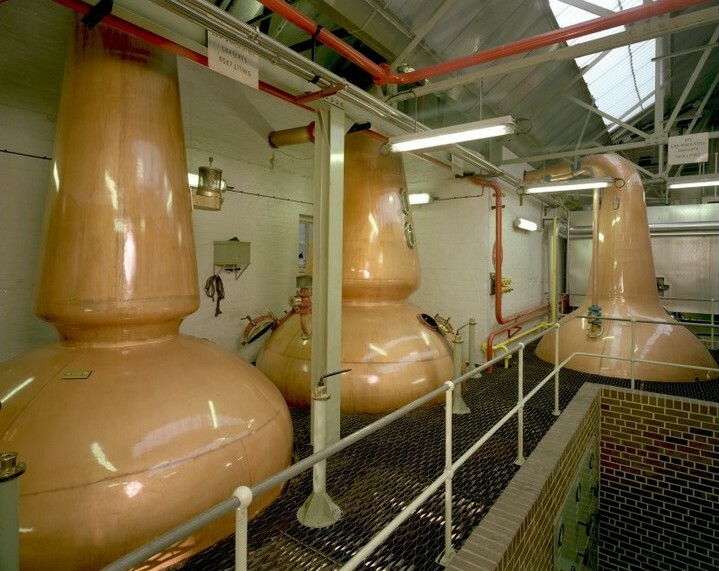 The stillroom of Rosebank. I recently found a picture of this, and am glad to have more information to share. The no.1 low wines still is on the left, followed by the wash still and then the no. 2 low wines still on the right. They were not large, the largest being the no. 1 low wines at 9587 L, and made in 1962 by R&G Abercrombie of Alloa. Still no definite answer as to whether Rosebank produced a triple-distilled or two-and-a-quarter times distilled spirit. More importantly, the stills survive and may yet live to fire up another day. The owners of Arran Distillery planned to set up a joint microbrewery and a microdistillery called Camelon on the site of Rosebank, though that has failed to receive sufficient funding as of 2014. If these plans do come to fruition, some of the old distillery equipment including the stills will be used, and some small part of Rosebank may be resurrected, like how Lochside lives on in its stills in Speyside. Nose: Hot! Even at 50%, which isn’t really that strong. Full of grapefruit, lime, lemon, bitter orange skins, also a touch of malty creaminess. 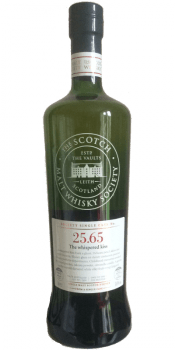 Needs water: Retains its general profile so still very citrusy, big lemony zest notes and sliced pineapple, but also with a dusty malt bin – herbal liqueur edge. Dry pine wood. Palette: Ouch. Very citrusy plus citrus flowers as expected but also something like dry oregano. With water: Again big citrus and lime juice plus a ‘tinned’ syrup acidity. Leftover tequila in a shot glass. Rather bright and big as well. Finish: Medium dry plus some old clouded wax. Not very complex, in fact quite simple straightforward citrusy Rosebank, but not lacking in octane either. This entry was posted on February 20, 2015 by Whiskyrific in Rosebank and tagged Rosebank.